Modernization and technological advancements in transport system have opened several paths for comfortable journey. With decrease in air ticket prices, many people can afford to travel via any airline company. But many get confused with the documentation, and checking procedures. To cross this hurdle, a new project has been launched in India. It has been named Digi Yatra ID for domestic flyers. The main objective behind the implementation of this new and unique scheme is to make the entire air travel process paperless and easy. With all documents out of the way, and every detail stored in the QR code, it will be easy for passengers as well as airline companies to offer better service. Streamlining air travel procedure – Many people face issues when they have to travel by an aircraft. For streamlining the checks, ticket booking and boarding process, Digi Yatra scheme has been introduced. For domestic flyers only – Only passengers who are going to travel within the borders of India will be allowed to get the benefit of this new scheme. It is not for flying abroad due to security reasons. Launch of new portal – The Ministry of Aviation has already started operating Airsewa Portal. The site was use by passengers to lodge any complaints against the airline company. With the new scheme in place, the ministry will replace this portal with Airsewa II Portal. It will record grievances as well as contain links for Digi Yatra. Making the process paperless – With the help of this scheme, there will no longer be any requirement of carrying hard copies of identification proofs. Even passengers will not have to get a print out of the ticket as well. All airports under the scheme – It has been mentioned that the project will be implemented in all airports of the nation, for better passenger service. 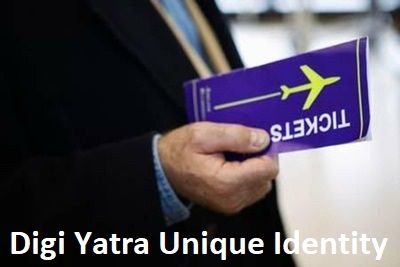 How to book domestic flight tickets with Digi Yarta ID? If any passenger wants to use the Digi Yatra ID, then he/she will have to upload his/her information on Airsewa-II portal. Once he/she has completed the enrollment, the portal will generate a unique ID. It will come in handy during the ticket booking or actual check in process. The registration on the portal will only be complete when the interested passenger produces ID documents like Voter card, Aadhar card, driving license or any relevant document. Once the system has checked the details, and authenticated the ID, it will automatically produce a Gigi Yatra ID code. Ticket booking can be done with this code with ease. On the day of travel, each passenger needs to carry some ID documents along with the ticket. These documents will be required during the first time only. The airline personnel will check these documents, and scan every passenger’s eye iris. Once the details have been recorded, these will be uploaded in the system. Form next time onwards, these documents will not be required. Once the QR code is scanned, all details of the passenger will be flashed on the screen. How to use Digi Yatra ID for boarding the airplane? For the convenience of the passengers, a number of E-gates will be installed at all airports. These gates will be equipped with scanners, which will read the QR or bar code. The Digi Yatra ID will be represented by this bar code as well. If any person is going to use the Digi Yatra ID for the first time, then he/she will have to carry photo ID proofs to the airport. These will be used for authentication. Once the checking is complete at the E-gate, the passengers will no longer have to go through the manual check in procedures. Check in, all security checks and even boarding will can be done just by scanning the QR code. The biometric information about the passengers will be fed into the airline system. As the passengers scan the QR code, they will receive information about the flight, seat number, gate closing time, and respective terminus. Earlier, these required the production on tickets. Thanks to the implementation of the Digi Yatra ID, these procedures can be completed without the use of any paper. With this scheme, passengers will be able to travel light, at least in respect to carrying documents. Many tend to leave behind an important paper in hurry. It may result in missing the flight. But with this bar code innovation, all these issues can be left behind for good.